Tip I: Begin with Dialogue – Motivation begins with listening; not instructing. Tip II: Create Discipline – Make suggestions directly tied to their current interests to help them achieve their goals. Tip III: Challenge Them – Offer a challenge; overcoming such a task is confirmation that a person’s structure and discipline is paying off. TIP IV: Encourage – Champion them whether they succeed or fail at the challenge presented. Tip V: Emphasize Positive Outcomes – If the seed you plant is going to grow, you must water it along the way. 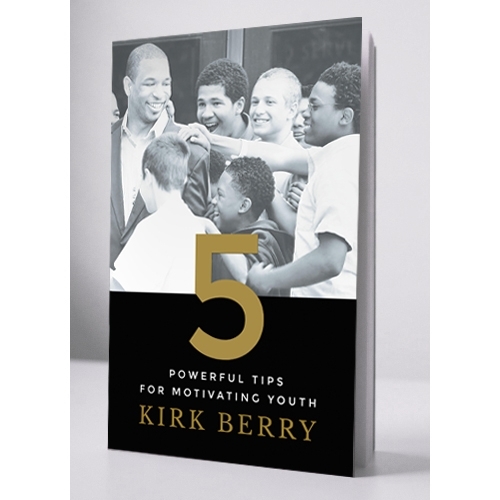 These tips equip anyone who plays an active role in a young person’s life – coaches, family members, teachers – with the tools to encourage the fulfillment of the next generation.